Collate your brand’s fonts, colours, imagery and logos into one, good lookin’ document that you can share with your design & marketing team. Includes both InDesign & Canva files, so you can choose your preferred design software. Get exclusive access to our video tutorial library, with step-by-step instructions for customising your style guide in both InDesign and Canva. Imagine how much easier it would be collaborating with a designer, virtual assistant or marketing crew if you all had one clear set of visual rules! 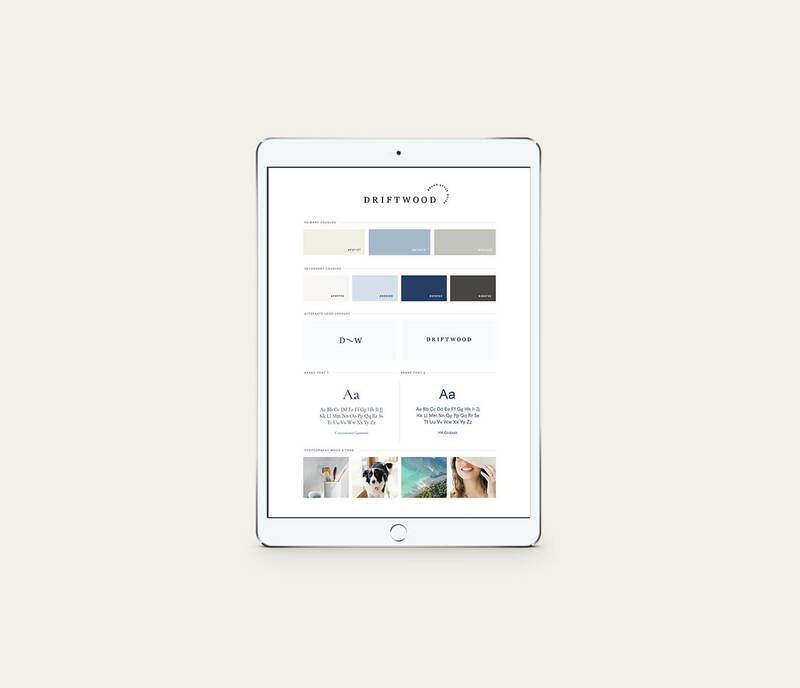 A brand style guide is your secret weapon in ensuring all your marketing and brand collateral always looks consistent. 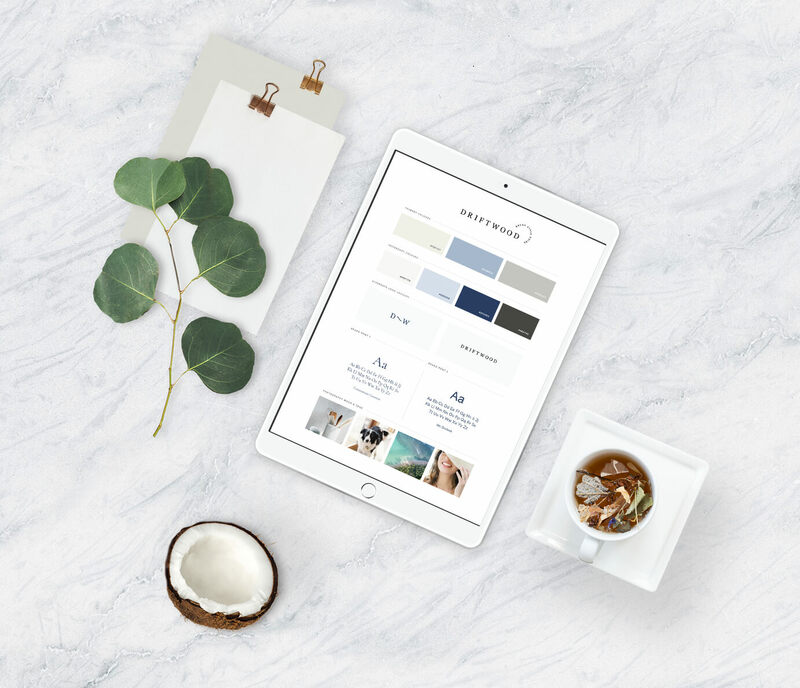 Now you can keep your brand looking polished and professional by collating all your brand’s visual design details in one, easy to reference PDF guide, without paying hundreds of dollars for someone to do it for you. We’ve done the layout—all you have to do is swap in your own brand colours, fonts, imagery and logos & you’re all set! Get organised with your own brand style guide and make sure that your brand always looks beautifully consistent and trustworthy.